When Trout Unlimited set out to inventory more than 40 streams in the upper Bitterroot River watershed, it focused on key fisheries and projects that could, if implemented, have the greatest impact in restoring bull trout habitat. As a result of that inventory, the West Fork of the Bitterroot River and an irrigation ditch flowing from the Bitterroot National Forest to a plot of private land rose to the top. The $70,000 project has received $4,500 in seed funding from Stockman Bank and will help improve the fishery in the river’s upper reaches, according to Trout Unlimited project manager Rob Roberts. 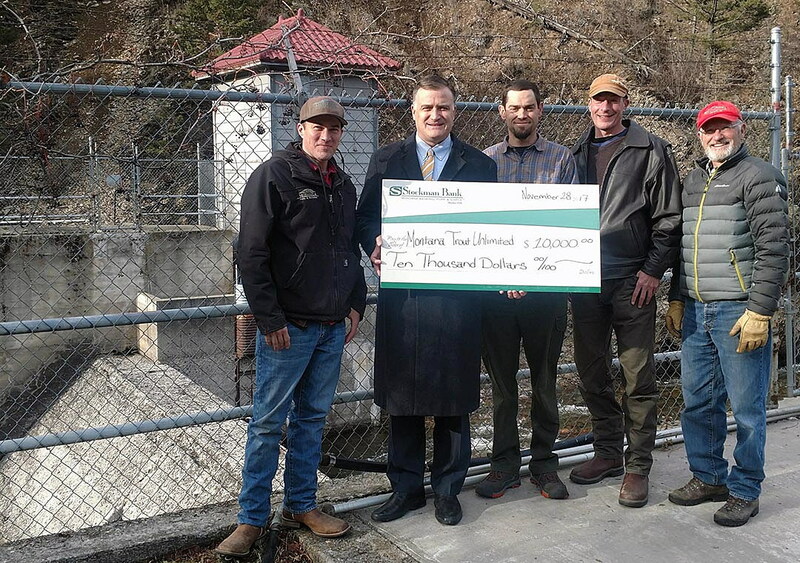 The donation from Stockman Bank is the third to Trout Unlimited in the past few years with a focus on watershed restoration and stream habitat. The bank, which has grown its presence in western Montana, gave $7,500 for work on the Nevada Creek tributary in the Blackfoot River watershed, along with a $10,000 contribution to remove a dam on Rattlesnake Creek and return that stretch to native conditions. For Bob Burns, Stockman’s Missoula market president, the projects are worthy of the institution’s financial support. Trout Unlimited has been active on a number of area restoration projects, including reclamation work in the Ninemile watershed west of Missoula, which was besieged by a century of mining. So too did a dam placed on Rattlesnake Creek in the early 1900s block prime spawning habitat further upstream. It was there last fall that Missoula city leaders and conservationist groups gathered to observe the concrete blockage and the scale of work needed to restore the tributary to native conditions. Stockman was the first private company at the table with its gift of $10,000. The Rattlesnake dam was first erected as a wooden structure in 1902, though it was converted to concrete in 1924. Biologists have said the structure has precluded the movement of fish from the Clark Fork River to roughly six miles of prime spawning habitat further up Rattlesnake Creek. That, however, will be resolved as soon as 2020, Roberts said. Trout Unlimited next month will present the Missoula City Council with a revised plan and a new agreement for the Rattlesnake project, given the city now owns the property. As was the hope two years ago, Roberts said the dam will be removed and the creek restored. “After going through public scoping and design, we’re planning to remove all manmade infrastructure on site and rebuild roughly 1,000 feet of Rattlesnake Creek above the dam and going through the dam site, as well as wetlands and floodplain restoration,” Roberts said. 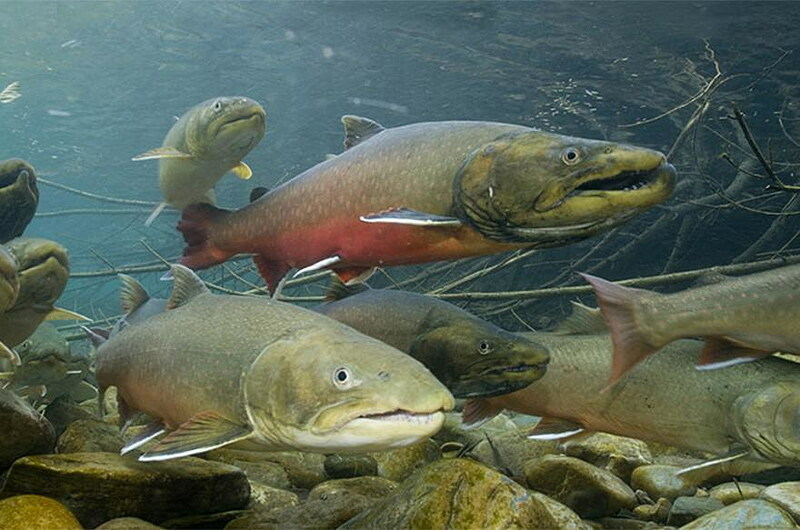 Bull trout remain federally listed as a threatened species that relies on western Montana’s cold water tributaries, including those up the Bitterroot watershed. With funding from Stockman Bank, backers will now look to raise additional money to carry out the West Fork project.